I first encountered the work of Carolyne Hill, this month’s profiled designer, at the Black Cultural Archives, the UK’s first and foremost Black heritage institution, which was recently rebranded and relaunched this July into a £7 million refurbished historical building in the heart of Brixton. Her family and most notably her mother Dawn, who is chair of the BCA, have been staunch supporters of this organisation for many years. Carolyne, specifically has lent her considerable talents in design and branding. However, as I would later come to find out, this is but one small facet of Carolyne’s many achievements thus far. Her background as a graphic designer, previously specialising in retail and ‘destination branding’ has seen her working for many of the high streets most recognised brands. Now working as Associate Director and branding specialist for Harrison:Fraser, I have no doubt that she is carving her own place in history as one of the few women of colour to ascend to such a position. Ladies and gentlemen, please be upstanding for Carolyne Hill. I have worked for a range of design consultancies in London for various clients over the last 15 years. I studied retail interior design and business management at the London College of Printing. Having graduated and finding it hard to get a job in interior design, I managed to get a graphic design job from Design Week listings. From then on I was a graphic designer doing something I’d always loved and been passionate about. I still think the biggest challenge for me was just getting that first job. Upon graduating you come into the industry with all these hopes and dreams and then you can’t even get an interview! I worked at The Conran Shop weekends and was an office intern doing filing work during the week. It took more than a year until I got my first design internship at Elemental Studio in Loughbrough Junction, which then led to me getting my first actual full-time paid design job at Astound, working for clients such as Tesco, B&Q and 3M. Once ‘in’ I’ve worked hard at achieving my goals at every stage and those first contacts I made working at Astound have stayed with me throughout my career and have helped in finding the right kind of work with the right people. At school I was fascinated by the Pop Art era. I was a big Andy Warhol fan as a teenager and when studying GCSEs I discovered Bridget Riley, who as well as sharing my birthday, was a great inspiration as a fellow south Londoner from Norwood where I was at school doing my best at creating my own ‘Pop Art masterpieces’ for my coursework! I was impressed with her artwork and career as a strong female artist – I loved her bright colours, geometric forms and stripes. My parents were also a big influence as they always instilled in me that I could achieve anything and supported me along the way in my decisions to study and work in design. Today I find my biggest inspirations come from those around me such as my friends and my peers. I enjoy seeing people being successful with whatever they are doing and this spurs me on to find the next challenge. At the moment I’m most proud of the Lola’s Casino identity work for The Hippodrome Casino at Harrison:Fraser, where I am associate director. Last year I took a typography course at Central Saint Martins, and to see a direct link from new learnings to a finished logo up in Leicester Square makes me very proud. I like to think that I’m proud of whatever I work on and I hope my ‘best piece’ is still to come. My dream project right now would be to design and build a pop-up restaurant – mainly because I’m a foodie and really enjoy going to these ‘blink and you miss it’ installations! In 2009, I was made redundant and decided to set up my own company, sharing a design studio with Arthur Irving and his company Skylark, which was an exciting and fun experience, hard work but very rewarding. Financial pressures and great job offers have led to me moving on from my own company, but I like to think that in the future I might work for myself again! I also have the dream to be ‘more of an artist’ – still working on that one! Who in your field do you believe deserves credit and recognition? There are so many people who could deserve some recognition. But in my daily design job, the printers and shopfitters who produce amazing results, often with the shortest turnaround times and last-minute changes, to bring our work to life – they are amazing and deserve credit. Love what you do, work hard and don’t give up! Alongside anything I’ve ever worked at, I’ve always had a side gig. Whether it be designing flyers for friends’ club nights, creating events or taking pictures, these things add to your personal portfolio and whether starting up or working in the corporate design world you need this output to keep your creative spark alive. As associate director at Harrison:Fraser I’ve got big challenges everyday and enjoy being part of a team in which is fast paced. Personally I’m enjoying learning how to use my new camera and building upon the personal design work I’m doing with Kaleidoscope Cinema and Street Style. For more information visit www.harrisonfraser.com. THE LONDON DESIGN FESTIVAL 2014. First staged in 2003, the London Design Festival is one of the world’s most important annual design events. The Festival programme is made up of over 300 events and exhibitions staged by hundreds of partner organisations across the design spectrum and from around the world. Design Week is proud to be a part of this event and on Saturday 13 September at 10.30-11.30am at the V&A Lecture Theatre will be hosting a special talk, ‘4 Corners: Design from the African diaspora’. Here, Design Week columnist, Jon Daniel will introduce the thinking behind the column and select work from the USA, Africa, Europe and the Caribbean. For more information visit londondesignfestival.com. FUNKY TURNS 40: Black Character Revolution Animation Art from classic cartoons of the ’70s. This special exhibition commemorates the 40th anniversaries of 1970s Saturday Morning cartoons that featured positive Black characters for the first time in television history. The exhibition includes original production pieces and drawings used to produce these cartoons. Also included are images from the animated opening to Soul Train and two of the few Black cast/Black-focused animated features that have been produced since the 1970s: BeBe’s Kids (1992) and Our Friend Martin (1999). Now on the second leg of a national tour showing until 20 October 2014 at DuSable Museum of African American History. For more info visit the DuSable Museum website for details. 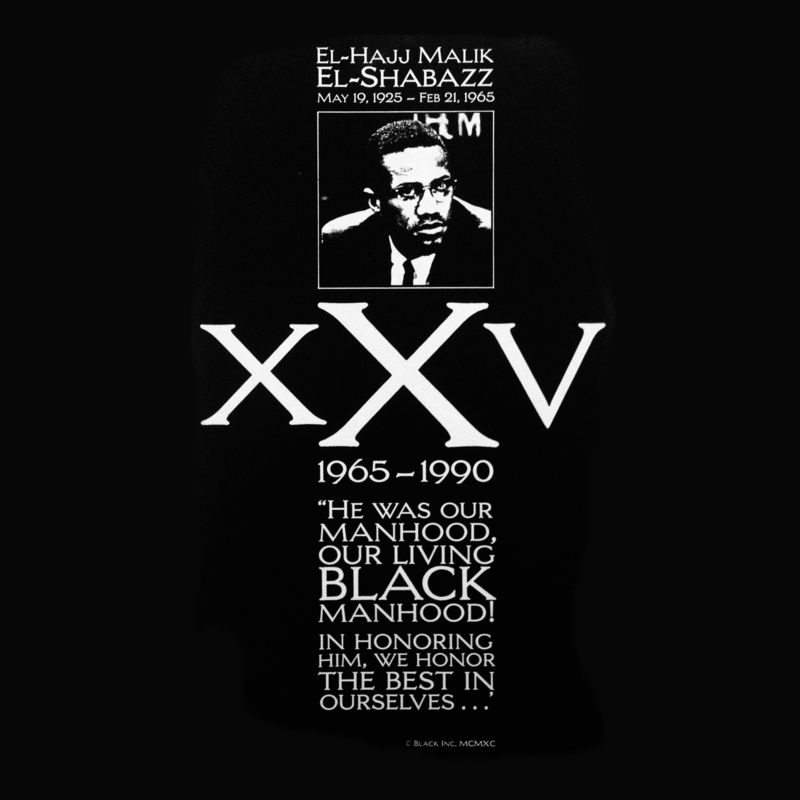 As a black teenager growing up in East Sheen, I was inspired by the historical contribution of the Black Power and Civil Rights Movement in the US, and influenced by leading black political figures and community activists such as Malcolm X and Martin Luther King; Stokely Carmichael and H. Rap Brown; Huey Newton and Bobby Seale – and the Black Panther Party for Self-Defense in particular. The Black Panthers’ base in Oakland, California was a universe away from the genteel, suburban niceties of south west London, but as an aspiring artist and designer I could not help but be captivated by the powerful and evocative imagery they projected and the striking graphic designs they created. Both the medium and the message had a profound influence on my development as a creative professional and certainly instilled a desire to use design as a tool to promote and tackle social issues and human rights issues that continues to this day. The Black Panthers’ pioneering political visual communications were the handiwork of a truly gifted and visionary man, who served the party as Minister for Culture from 1967 to 1980. A man who in my wildest dreams I could never have imagined that I would one day have the honour of interviewing and the pleasure of introducing you to today. Brothers and Sisters please pump your black, gloved fists up for Mr Emory Douglas. Emory Douglas, Revolutionary Artist, Designer and Minister of Culture of The Black Panther Party for Self-Defense (1967-80). My art background is basically as a self-taught artist with a minimum of professional training. I attended City College in San Francisco off and on from around 1964 to 1966 and majored in Commercial Art. What challenges did you face in achieving your ambitions to break into the industry? Who and what are your greatest inspirations? As a youngster growing up it was my mother – she was legally blind and worked hard as a single parent. Who in your field do you believe deserve credit or recognition? To continue doing what I’m doing, creating artwork that deals with quality of life issues, basic human rights violations and concern for the struggles and challenges of oppressed peoples in this world. For more information visit www.emorydouglasart.com. Big thanks to Maurice Cherry of Revision Path for his help in facilitating this interview. ‘RETURN OF THE RUDEBOY’ is an original exhibition created and curated by prolific photographer and filmmaker Dean Chalkley and creative director Harris Elliott, which showcases a sartorial subculture through a series of portraits, installations and set pieces. Runs until 25 August 2014 at Somerset House, Terrace Rooms, Strand London WC2R 1LA. Admission FREE. For more information visit www.somersethouse.org.uk. KERRY JAMES MARSHALL: PAINTING AND OTHER STUFF is an exhibition of the work of the American artist across venues in Madrid and Barcelona. The exhibition is divided between two venues. At the Museo Nacional Centro de Arte Reina Sofía in Madrid there is a focus on historical works and paintings, while the Fundació Antoni Tàpies in Barcelona includes more recent works, not only in painting but also in other media such as drawing, photography, video and installation. Exhbitions run until 26 October 2014. For more information visit www.fundaciotapies.org. 40 VOICES is an exhibition encompassing film, photography and an art installation in celebration of the 40th anniversary of the Culturama event in Nevis Culturama (Nevis ). Through open, emotive and unguarded interviews of forty Nevis residents, 40 Voices aims to create an empowering film that will capture a snapshot of the feelings, opinions and attitudes of Culturama into one seamless loop. The exhibition runs from Sunday 27 July – Sunday 10 August 2014. For more information visit www.culturamanevis.com or chantimedia.com. DESIGN FOR SOCIAL IMPACT, an exhibition offering a look at how designers, engineers, students, professors, architects and social entrepreneurs use design to solve the problems of the 21st century. The exhibition features projects that address a variety of challenges in the areas of Shelter, Community, Education, Healthcare, Energy and Food & Water. Each category highlights solutions taking place locally, as well as ways in which these challenges are being addressed around the world. The exhibition is on view at Museum of Design Atlanta (MODA) through to 3 August 2014. For more information visit www.museumofdesign.org. 21 ICONS: PORTRAIT OF A NATION, a poignant and inspiring multi-media exhibition by 21 Icons and Mercedes-Benz South Africa, opened on Youth Day, 16 June 2014 at the Museum of African Design in the Maboneng Precinct, Johannesburg. In celebration of 20 Years of democracy, the two-month long exhibition features portraits and short films of 21 of South Africa’s greatest social masters including Nelson Mandela, Desmond Tutu, Sophia Williams De Bruyn, Ahmed Kathrada, Nadine Gordimer and George Bizos. 21 Icons: Portrait of a Nation: Presented by Mercedes-Benz South Africa will be on exhibition at MOAD for the first time, through to 17 August 2014. For more information, please visit www.moadjhb.com/21icons.